Try your hand at one of these recipes. One of my biggest challenges is getting dinner on the table every night. I know how easy it is to meal plan. But, there’s so much to do in the evenings in such a short period of time. I’d rather talk to my hubby and kids than be in the kitchen cooking. You may already know how big of a fan of efficiency I am. So the thought of an appliance that cooks dinner for me, that doesn’t come out looking like mush? Yes! Don’t get me wrong. I LOVE my crockpot . I think that everyone needs one. But, I have finally given in to a new appliance called the Instant Pot . 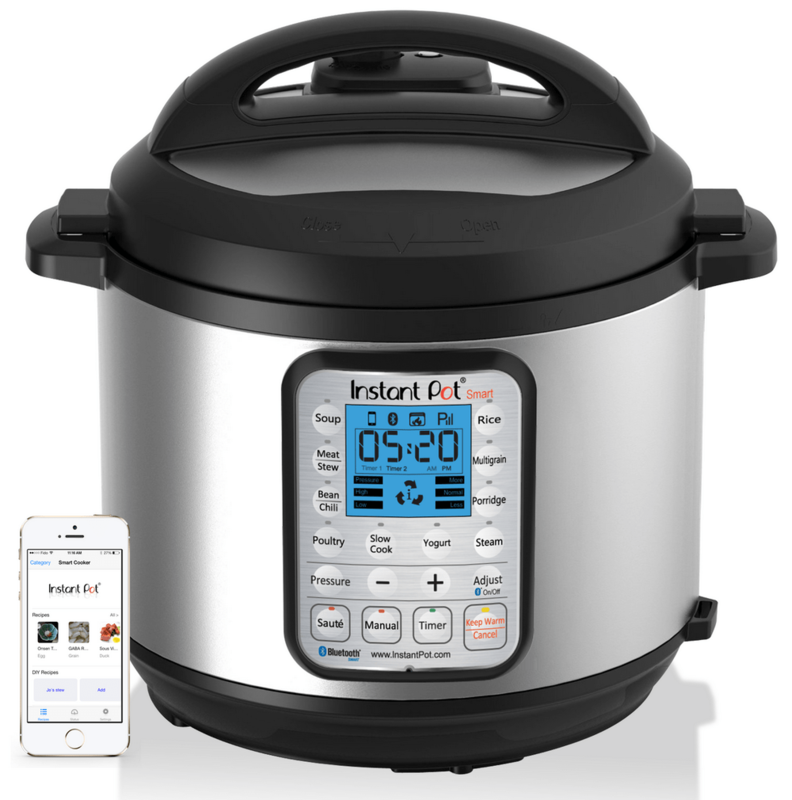 A multi-cooker, combines 7 kitchen appliances in 1, Pressure Cooker, Slow Cooker, Rice Cooker, Steamer, Sauté, Yogurt Marker and Warmer, prepares dishes up to 70% faster to support your busy lifestyle. If you don’t already have an Instant Pot, you might be wondering “Why all the fuss?” I know I did! I don’t really enjoy cooking. So, when I started hearing buzz about the Instant Pot, I didn’t pay much attention. With so many of my friends getting them, it was hard to ignore the buzz. I kept hearing the same comments: multi-functional, easy, fast. Mashed potatoes in 15 minutes. Steel cut oats in under 10 minutes. Does the work of multiple kitchen appliances. You will no longer need your slow cooker, pressure cooker, or rice cooker. I haven’t met one single person who doesn’t love their Instant Pot. Unlike the old pressure cookers you might be picturing, Instant Pot has multiple safety features to make pressure cooking safer and easier. So, you can enjoy all the benefits of a pressure cooker with fewer risks. But an Instant Pot is a lot more than a pressure cooker. It’s a rice cooker, slow cooker, sauté pan, steamer and even a yogurt maker! Instead of being ANOTHER kitchen appliance you have to store, it actually takes the place of several so you can free up cabinet or counter space! I’m not a food blogger, so I checked in with my friends and found some easy Instant Pot recipes for you. What are your favorite Instant Pot vegetarian recipes?